After the journey from downtown Beijing your visit starts at the Sacred Way. The same journey that was taken by the Imperial families when visiting their ancestors’ tombs. 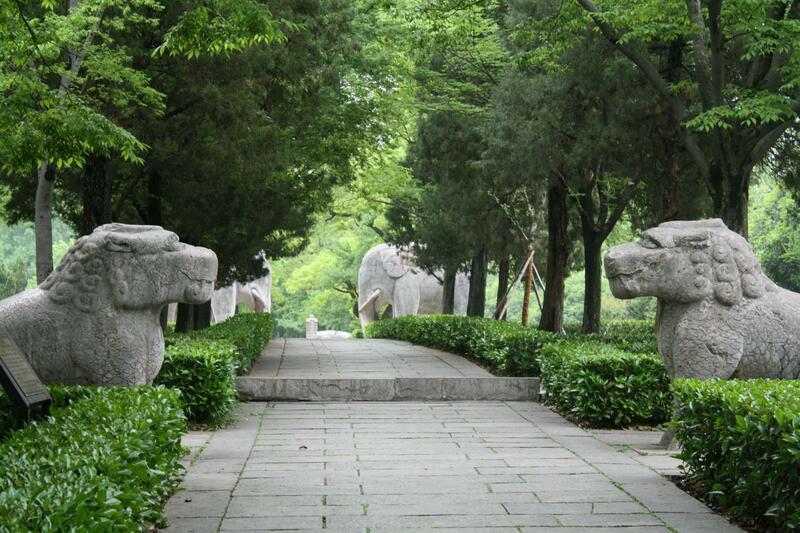 This serene walk along a marble path flanked by Ancient marble statues and elegant willows is an unexpected highlight. Next the Ming Tombs – the imperial burial grounds of the Ming dynasty Emperors where you will explore the Changling Tomb, the largest and best preserved of the 13 tombs. On the way to Badaling you will stop for lunch at the Longdi Jade Factory, where you will also learn about the 5000-year culture of Chinese Jade. Then it is on to the highlight of the day, the Badaling section of the Great Wall – a monumental feat of engineering by the ancient Chinese, the Great Wall stretched for a total of 6700 km when it was at its zenith. Here, you will see the best preserved section of this Wonder of the Ancient World. On your return journey the last stop will be to enjoy a traditional tea ceremony. A great way to relax after these awesome experiences. Great Tour, guide made adjustment which allowed us to spend more time on Great Wall. A little rushed through the other areas. It was good tour and I enjoyed the experience with the tour guide and the driver who was really funny. Ming Tombs were very interesting and the guide was very knowledgeable. Thanks for the review. Our guides are the best in the business and we are glad that you enjoyed your time with us. See you again soon! The tea ceremony was worthless for the time in information provided. Good tour, guide very helpful in explaining the history and sites of China.